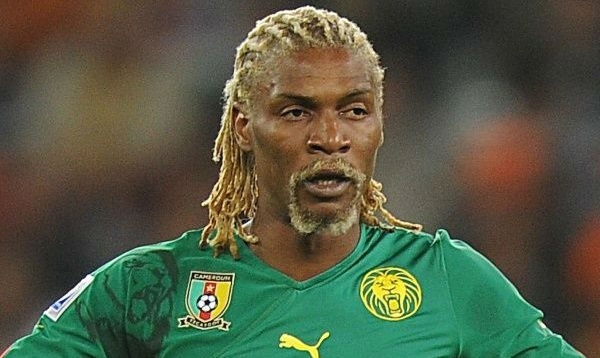 Well known for his defensive skills, Cameroon’s Rigobert Song was a dynamic striker who always gave more to the soccer game than his body would allow. It comes as no surprise then that Cameroon’s Big Chief had to retire from the very sport which was his life as his body couldn’t take much more. The striker garnered a strong reputation for his defensive skills and tactical placing of the ball, which is way many clubs signed him up during the course of his soccer career. Post retirement Song now coaches Chad’s national soccer team. He is the first Cameroonian player to get signed on for Liverpool. He made impressive changes in terms of soccer clubs – from Liverpool, to West Ham and then back to Cameroon – during his career. As a player for the national soccer team for Cameroon Song played in four world cups and won two African Cup of Nations for his home side. Rigobert Song Bahanag was born in 1976 in Nkenglicock, Cameroon and developed a strong interest in soccer from a young age on. While still a teenager, a 17 year old Song started his professional career at Metz for whom he played for 5 years. A 17 year old Song got a surprise call when he was asked to join the Cameroonian national team for the 1994 World Cup. The start of his association with the world cup wasn’t that good as the brazen young teenager was sent off with a red card – a record Song made for being the youngest soccer player to be sent off during play. However he soon put this setback behind him and played for the Italian Serie A side Salernitana but left shortly due to creative differences with the team’s manager. It worked immensely in Song’s favor as he went on to get signed by none other than Liverpool for a reported £2.7 million. Not only was that a record signing back then for an African player but Song was also the first Cameroonian to get singed on by the Reds. In total Song made 38 appearances for Liverpool and made a strong impression with the fans due to his defensive skills and physical endurance. Prior to joining Liverpool Song had already played for the Cameroonian side in two world cups. He ended up getting a strong reputation as a player who always gave his best physically and mentally to the game and always had a smile on his face. After Liverpool Song went on to play for West Ham for a contract worth £2.5 million, he replaced another soccer great Rio Ferdinand at West Ham. West Ham was followed by playing for a Turkish league called Galatasaray for four years where he got his nickname of ‘Big Chief’ from. Despite playing for many soccer leagues Song remained an integral part of Cameroon’s national soccer team. He played for the side for a decade – the most for any Cameroonian player – and went on to participate in four FIFA World Cups, the first African player to do so. He also played in the Premier League and earned 137 caps for Cameroon scoring five times in the four world cups he played in.